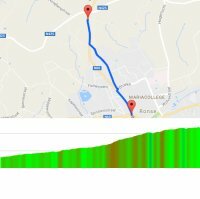 Saturday 25 February, 2017 – At 198.3 kilometres, the route of the 2017 Omloop het Nieuwsblad takes in thirteen Flemish hills. Moreover, the riders face loads of cobbles served cold. Both start and finish are in Sir Bradley Wiggins' place of birth Ghent. Omloop Het Nieuwsblad brings the first clash of two of 2016's greatest champions: Greg Van Avermaet and Peter Sagan. Besides the Olympic and World Champion the startlist features the likes of Tom Boonen, Sep Vanmarcke, Lars Boom, and Ian Stannard. Omloop Het Nieuwsblad marks the opening of the Opening Weekend of the Belgian Classics. Title defender Van Avermaet faces competition of two-time winner Stannard and one-time victors Gilbert, Vanmarcke and Langeveld. World Champion Sagan is another favourite in Omloop Het Nieuwsblad 2017.